The HER2+ subtype of breast cancer represents less than 25 % of incident breast cancers, and traditionally has been regarded as having the more aggressive phenotype, higher recurrence rates, and reduced survival. The HER2 landscape has changed dramatically since the discovery of trastuzumab and have resulted in much improved long-term outcomes for affected patients. HER2 is a validated therapeutic target that remains relevant throughout the disease process. Recently, a number of novel HER2 targeted agents have become available which provide additional treatment options for patients with HER2+ breast cancer. 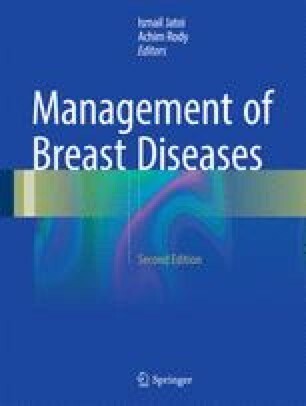 This chapter will discuss the evolution of HER2-targeted therapy, beginning with the initial success of trastuzumab to the controversies that remain, and from there, to the discussion of newer anti-HER2 approaches currently under investigation.